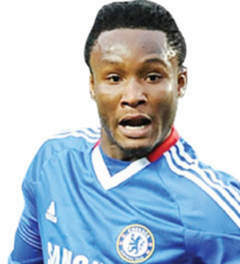 I will quit Chelsea if..........Mikel Obi - BlogIT with OLIVIA!!! Chelsea Midfielder John Obi Mikel has said he is ready to leave Stamford Bridge after 10 years if he is not guaranteed regular football next season. Mikel hardly featured under ex-boss Jose Mourinho before his exit in December but has been a key part of interim boss Guus Hiddink’s plans. good decision for the nigerian skipper. lolz@ Nigerian skipper, why call him that?